People will forgive The Strokes for just about anything. And they should, their power is undeniable. One three-and-a-half-minute rendition of “Hard to Explain” on its own is enough to simultaneously put a lump in your throat and restore your faith in music. Their familiar dual guitar assault is placating in a time of extreme uncertainty in the industry at large, as fans find themselves looking for heroes amid the recent loss of music giants. But for the last few years, at least, it seemed as if the Strokes might not be willing to be the band to fill that void. Intensifying focus on solo careers came in tandem with a proportionate loss of energy in their live shows and haphazard studio endeavors. For a generation that saw The Strokes cut straight through a sea of bloated and overproduced rock with a totally effortless cool, prospects were grim. The timing and content of the release of Future Present Past, then, is refreshing in every way imaginable. Right off the bat, “Drag Queen” bleeds through the proverbial speakers with a titanic weight. It’s a version of The Strokes Julian Casablancas has seemingly envisioned for years: muscular, surprisingly heavy and unafraid to take sonic risks. 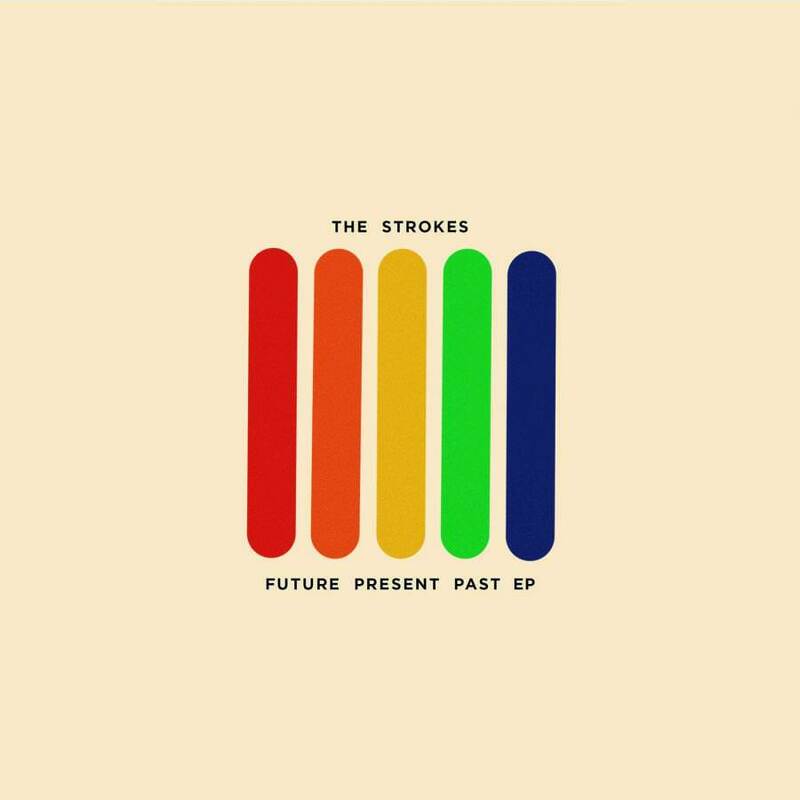 The groove is simplistic but hits hard, with Casablancas’ gritty, suave vocal delivery and some wonderfully dissonant guitar flourishes leading the way to a roaring chorus that sounds as if it’s too hot to touch. A frantic, pitched-up vocal, along with some outright snare abuse from Fab Moretti help the song outrun mere repetition of the chorus, and the result is a stupefying finish. “Drag Queen” is a sensory assault, with the same impenetrable heft that Casablancas explored with The Voidz, his most recent side project. “OBLIVIUS” is the EP’s meaty center, with the kind of interlocking Strokes-ian guitar hook that reinforces the extent to which the band’s trademarks have been shamelessly repackaged by lesser acts. This is the real deal, and Nick Valensi and Albert Hammond Jr.’s almost subconscious bond still sounds like a match made in six-string heaven. Julian’s forceful call of “What are you standing on?” could be a self-effacing remark or, more likely, aimed directly at the bureaucratic nightmare behind this turbulent election season. Either way, it’s the sound of a band hungry for revolution, whether it’s in their rehearsal room or in the streets, and this hunger is exactly what felt absent from their current state of existence. The epic guitar solo is a cathartic release typified by Valensi’s screaming bends, which brilliantly give way to a more melodic motif made of poignant, classically-tinged fret fireworks. Live footage of this song’s debut at New York’s Capitol Theater was fittingly insane. “Threat of Joy,” the EP’s final act (not counting a somewhat unnecessary remix by drummer Fab Moretti) is no doubt a welcome return to the lighter, more spontaneous spirit of the band’s early days. Still, signs of their maturity are all over this lovely tune. Casablancas’ goofy vocal ad libs are a sign that the band has dutifully moved out from under the shadow of their own legacy and finally succumbed to just having fun. Valensi again shines with picture perfect leads cementing the importance of how he supports Julian’s iconic vocal presence. The blissful, understated outro is perhaps my favorite moment on the EP, which goes on just a bit too long past the final chorus, deservedly savoring a welcome return from one of the great bands of this century.